I had a day off this week and I spent most of it organizing. Organizing makes me happy. Period. 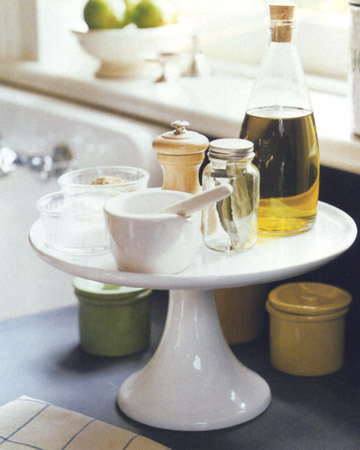 I never thought to use a cake stand for something other than displaying cakes or cupcakes. This would be a great (and stylish) way to organize ingredients for a recipe. This is probably the drawer of a professional chef, which I am totally not, but it still makes me super happy. It makes me want to take a quick trip to The Container Store. I adore this idea! I often find it easy to find the pot I want, but have to turn over and move around 10 other pots to get the lid I need. That causes all kinds of noise that makes my cat think the world is coming to an end. Do you have any good ideas for kitchen organization? I'd love to hear! Love all of these ideas! An organized kitchen is a must for me. Saves time and money. The pot lids! Doing this today ... thank you!! 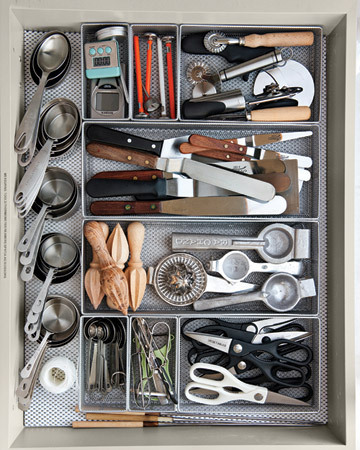 This post just makes me happy inside....I adore an organized kitchen! Such wonderful ideas, my husband is an OCD neat fanatic so everything in this house is ridiculously organized, I actually like having someone like him to keep me in check because I could easily be a clutter kind of girl, I like 'stuff" he keeps it under control! I feel the same way and can't function in chaos! Love the idea for the pot lids. Mine are always somewhere in the back of the cabinet. I agree about storing your baking essentials in containers with wide enough openings to scoop from. Makes things so much easier. 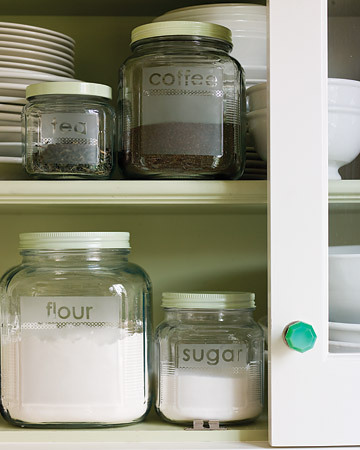 I use my P-touch for labeling, but those labels are so much prettier. 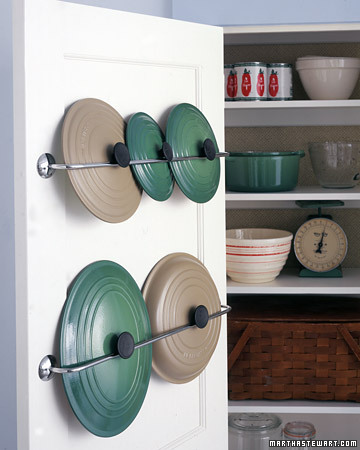 Love the pot lids idea! Thanks for sharing.